1. Warming your eyelash curler with a hair blower for about 5-10 seconds (med heat) before using helps your lashes to achieve the curl that you want with less effort and gives a long lasting effect. This goes with gel liner as well. It's easier to apply when you warm the gel liner with a hair blower. Note: Make sure you don't burn your eyelashes! 2. 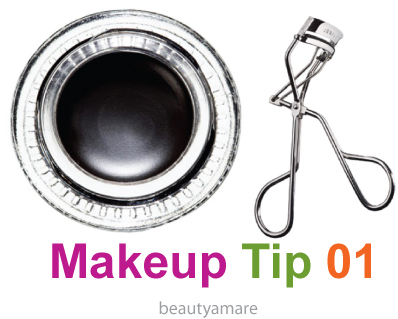 If you don't have a hair blower, you can also blow your eyelash curler closely with pursed lips. Make sure that it is close to your mouth to release warm breath (science lol). Have you done this?Share your experience with us!